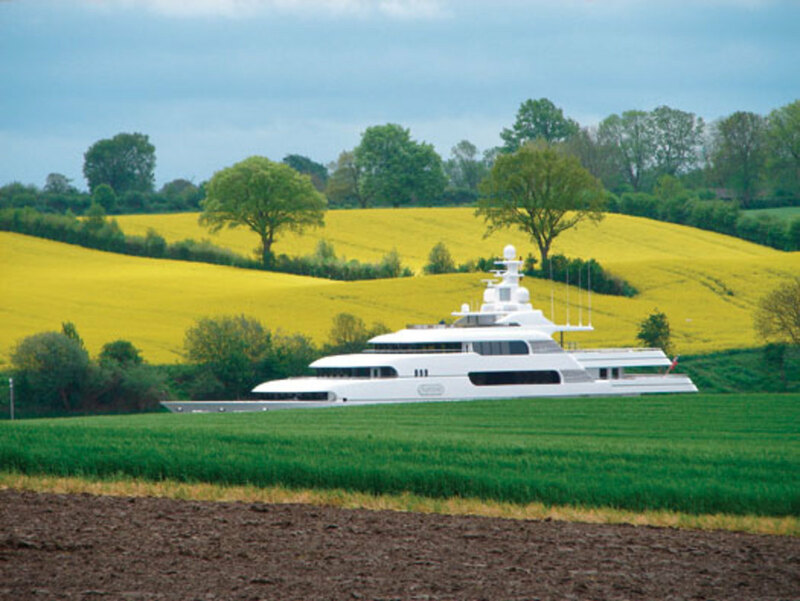 Bloggers everywhere were captivated by a photo taken last year showing Apoise cruising Germany&apos;s Kiel Canal, seemingly playing hide-and-seek though brilliant fields of yellow and green. 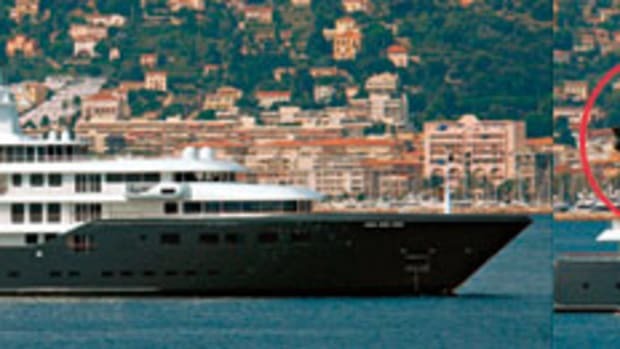 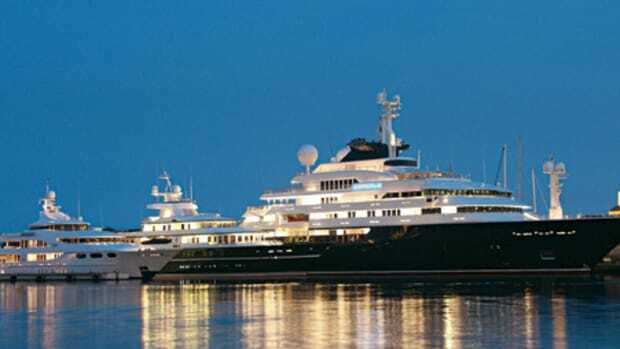 Yacht-spotters in Croatia got a good look at her last summer. 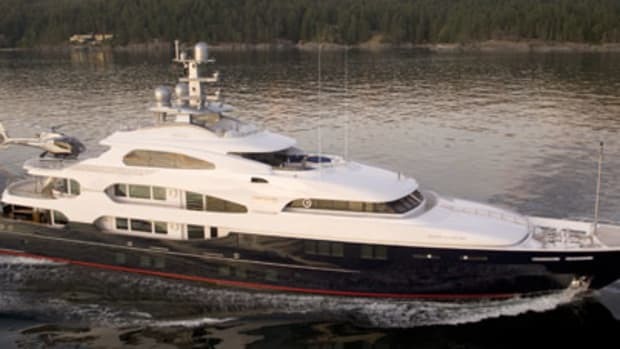 The yacht features just five guest staterooms, including a VIP on the bridge deck, plus the main-deck master suite.